Hi, I'm Fi and I teach Ballet, Tap and Street Dance to experienced dancers and complete beginners of all ages. I trained at The Legat School of Classical Ballet and The Northern School of Contemporary Dance. I am LAMDA trained up to Gold in acting. I am also a qualified physiotherapist and so have advanced knowledge of anatomy and injury awareness and prevention.To me there is nothing so powerful as people coming together to dance. Dance is my passion. I love helping kids and adults improve their technique and see their confidence grow. My teaching style is fun and upbeat. I embrace my students’ passion for dance and encourage freedom of expression. Hi, I'm Lucy and I teach Street Dance, Commercial, Lyrical, Contemporary, Ballet, Jazz, Acro and Tap. I trained at The Big Little Theatre School in Bournemouth and have been involved in several Professional productions, including touring with Cameron Macintosh's "Oliver". I am LAMDA trained in acting and singing. I love inspiring and encouraging children to remain passionate about dancing. Hello my name is Dale Russell and I have been in the arts for about 10 years now. I started out teaching myself street and break dance at the age of 15 and then went on to study Performing Arts at college for three years. Whilst doing this I was in several musicals including “Miss Saigon” and “A Christmas Carol” where I played Bob Cratchit. As well as musicals I was involved in a street Dance Crew called Streets based in Devon. We won the south west UDO Competitions several years running and UK Once which gave us a chance as a crew to compete in the world championships. Before leaving Devon I was running after school clubs teaching Dance. 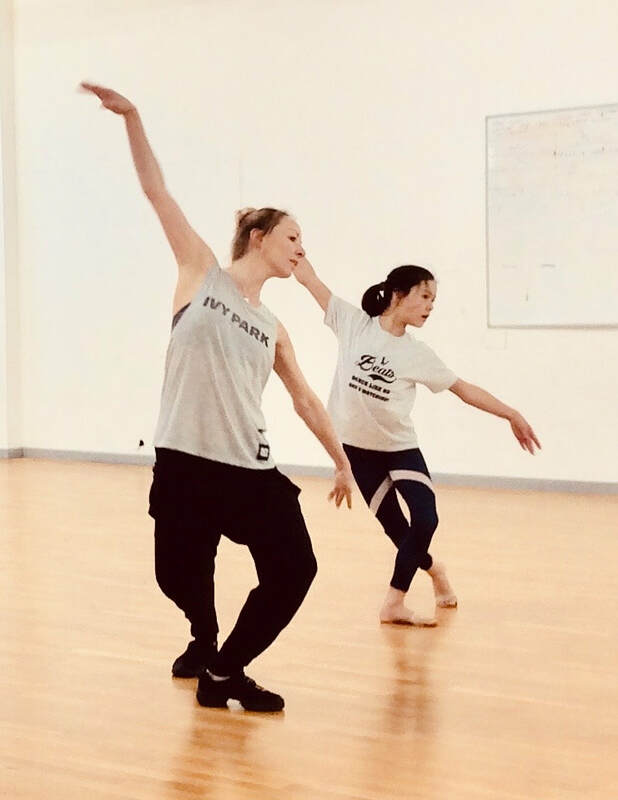 After leaving Devon I begin life as a dance and drama student in bath where I found my passion for film making and Choreography as well as teaching. I now teach Street Dance and Musical Theatre for Beats Dance. Hello, I’m Steph. I've completed all LAMDA Speech and Drama exams and ESB exams. I have repeatedly won at Junior and Adult Mid Somerset Festival competitions. I have on stage experience including works with Next Stage Theatre Company and have experience working in TV as well Voice Over/Audio book work. I have completed my ATCL in Teaching Speech and Drama (Trinity). I teach individual pupils and will soon be working with a small groups, preparing them for their Devising Acting LAMDA exam. I teach the acting in Show Class on Saturday Mornings at Beats Dance. Hi, I’m Fran. I graduated from Bath Spa University with a BA(hons) in Music in 2010, going on to complete a PGCE in secondary music in 2011. Having taught in Culverhay, Hayesfield and St Gregory's Catholic College, I am now head of music at the John Bentley School in Calne, and secondary school music champion for north Wiltshire in association with Wiltshire Music Connect. I am an experienced choral director and Musical director, having run several choirs with different age groups, and conducting many different musical productions over the years. I am the vocal coach/director of music for Show Class with Beats Dance.